The study of ‘membrane markers’ in human leukaemia has now been in progress for a decade. Starting from the initial observation of L. Borella and colleagues at St. Judes on the sub-types of ALL  a wealth of data has accumulated particularly over the past few years with the introduction of monoclonal antibodies. 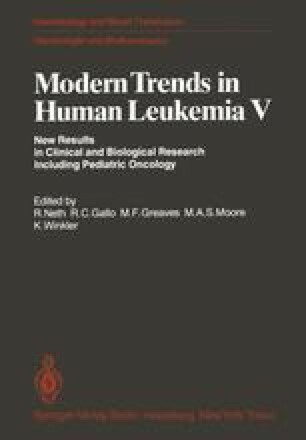 Now is perhaps a good time to appraise the impact of these efforts and the implications for future research on leukaemia.